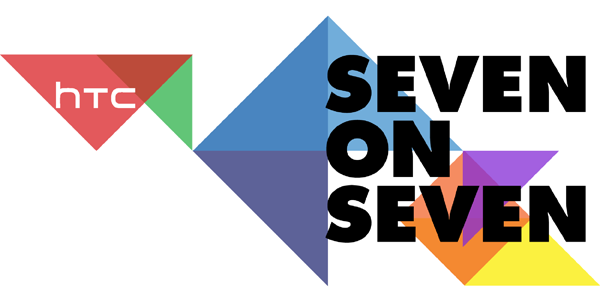 Rhizome and HTC® are pleased to announce Rhizome’s Seven on Seven Conference, an annual event that brings together figures at the forefront of art and technology to create innovative new ideas. Over the course of a single day, seven teams, each comprised of a foremost artist and a leading technologist, are challenged to develop a new idea, concept, or prototype to premiere at the conference. Now in its fourth year, and to accommodate the demand for a larger audience, the conference will move from its former location at the New Museum and will take place at the Tishman Auditorium at the New School in New York on Saturday April 20, 2013, from 12–6 p.m.
Technologists: Tara Tiger Brown (LA Makerspace), Dalton Caldwell (App.net, PicPlz), Dennis Crowley (Foursquare), Harper Reed (Threadless, Obama for America 2012), and Julie Uhrman (Ouya). Artists: Paul Pfeiffer, Jeremy Bailey, Fatima Al Qadiri, Jill Magid, Cameron Martin, Rafael Lozano-Hemmer and Matthew Ritchie.